I met the Mnông in two regions of Vietnam. The Mnông in the Binh Phuoc region a few hours from Ho Chi Minh and those in the Dak Lak region in the Highlands that I visited regularly between 2011 and 2018. 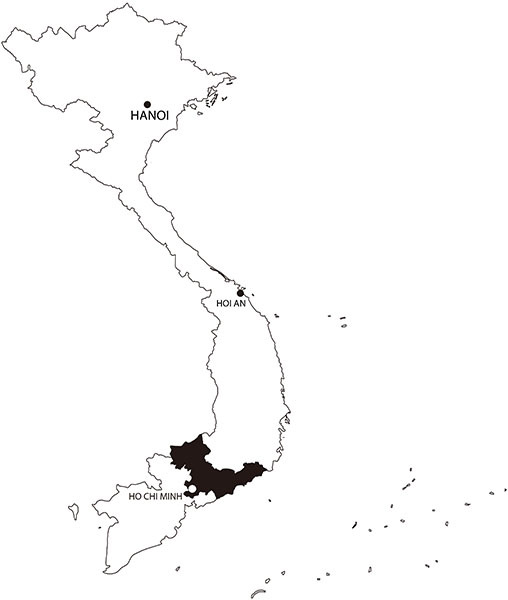 The latter have a unique specificity in Vietnam: their special relation with elephants, totally non-existent as for the Mnong in Binh Phuoc. 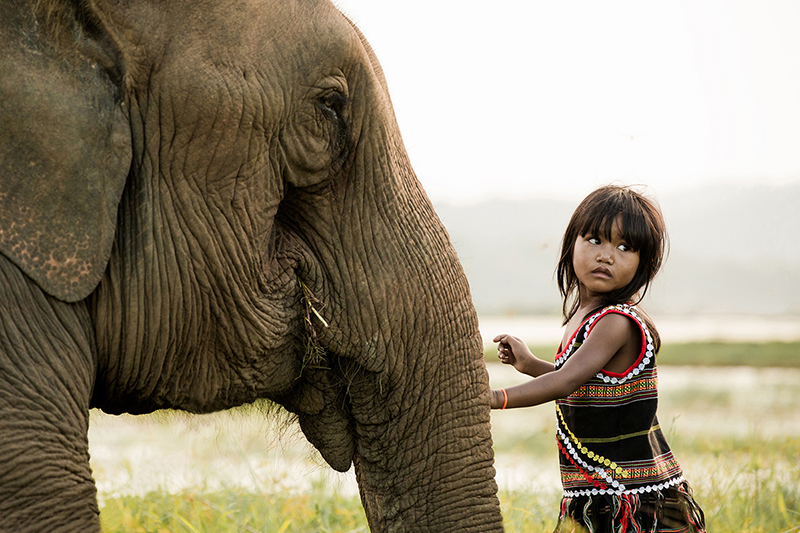 The Mnông in Dak Lak capture and train the pachyderms for several months before introducing them to the village during a ceremony which makes them fully-fledged members of the community. From this crucial moment where the adoption by the group takes place, the elephants take part in all the village activities and follow the same rules than that of humans. In recent years, this special relation has been disappearing rapidly, and the number of elephants has been dramatically reduced to the point where there were only two left in the village that I visited. Only those who owns an elephant continue to perpetuate this culture, at present ignored by the rest of the village community. Fascinated by this exceptional relation, I’m currently preparing a book with an ethnologist to document, while there is still time, the rituals and the beliefs that have linked the Mnong and the elephants for centuries.